Open-world stealth action masterpiece Metal Gear Solid V: The Phantom Pain headlines this month's lineup. Greetings, PlayStation Nation. We’ve got some big news for October’s PlayStation Plus free games update. 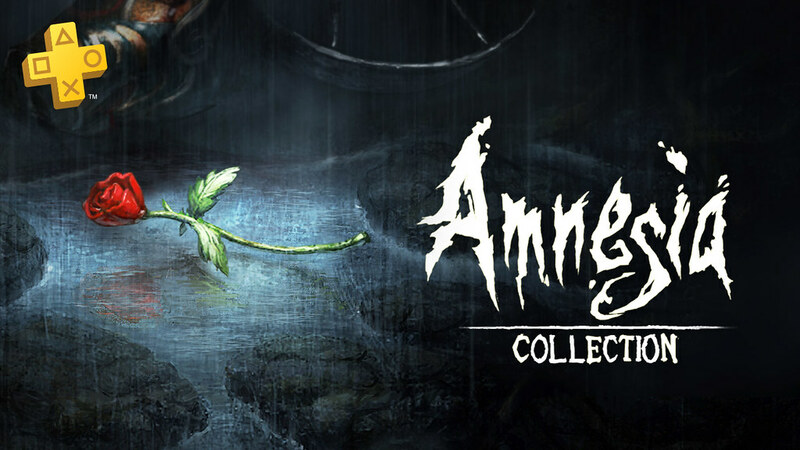 Next, we have Amnesia: Collection, which contains both The Dark Descent and A Machine for Pigs. Start this one up at night with the lights off — if you’re feeling brave. As a reminder, That’s You! is leaving PlayStation Plus on October 24. This crowd pleaser PlayLink game is guaranteed to liven up any party. Gather up your closest friends and download it today* for an amazing time! *Compatible mobile device and Companion App required. For more information, visit www.playstation.com/playlinkcompatibility. Also, we’re celebrating PlayStation VR’s one year anniversary in October. To commemorate, the PlayStation Store is offering a ton of games at great discounts. Check the PS Store October 10 for more details. Don’t forget that RIGS Mechanized Combat League is free for all PS Plus members until November 7, so download it now if you haven’t done so already. Want to try the new turn-based-strategy collectible card game from the makers of SMITE and Paladins? As a PlayStation Plus member, you’ll get access to the Hand of the Gods Closed Beta, starting Oct. 17! Even better, you’ll get the Hand of the Gods Plus Pack, containing a Galactic Invader Leader Skin for Ah Puch, a card back and player icon, and five Core Packs to get your divine deck started. This is available to all members until November 14. 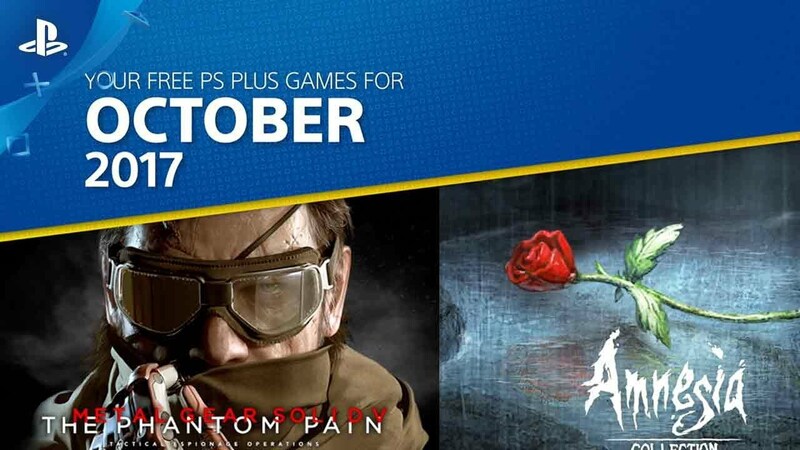 Lastly, we have two great PS Plus specials you can buy right now. Get 30% off on both Final Fantasy XII The Zodiac Age & Titanfall 2: Ultimate Edition, now through October 3. Awesome titles, it’s been a while since we’ve gotten some this good! I swear I see this same comment every single month. It’s almost like different people like different kinds of games. Weird! …You mean it’s been a wild since you’ve gotten something you enjoy? The games over the past few months have been great. Just because you don’t enjoy them doesn’t mean that they’re not good games. I already own these games but even I like this line up. Good job guys! I would be excited if the ps4/vr would work more reliably. … 1st my power supply comes loose when it just sits now the vr headset i just purchased started tilting all the time … adult owned no smoking and never transported except from store ….. who cares about software if the hardware is so iffy..
What time do they release? I’m in michigan and everyone else seems to have them already. Who else is wondering when Overwatch will be one of the free games of the month. Fix your Recaptcha. It fails. Sony we want external assets stop trying to take all our money we are left in the stone age compared to microsoft now. Its pretty hypercritical for a company that states its for the players x box one x here i come oh and whats the point of vr if it cost more than a new console just so money hungry. HOLY ISH, This month is absolutely insane. May possibly be the best one in my six years of PS+. You’ve outdone yourselves, PlayStation team!! PS Plus has been on a roll lately. I’m a very happy subscriber. Damn! PlayStation Plus is on fire! Isn’t hustle kings free to play on PlayStation 3? Just double checked. It is not free to play. You got me nervous though! Nope, but its FREE on PS4..
WHERE IS MY PSVITA TITLES. this is a really bad month for PSvita Owners, you have a massive line up that hasnt been touched yet and you add nothing, not even one game. It took 8 whole minutes for the first negative comment, that’s a new record! This really IS the best Plus month in a very long time, thank you Sony. Yes, I just renewed my sub, last week. I’ve been holding out, since Feb. Finally, you guys are on point! Infamous has me hooked. Metal Gear has a great reputation. Can’t wait to try that out, along with Hue. This is right up my ally and I feel like I already got my money’s worth. Thanks, guys! Keep up the good work! Yeah, these are quality games. I’ll have to check the trophies for Infamous, maybe I’ll try for my first platinum. I’m okay if the campaign is only ten hours, it will be easier to knock out before phantom pain. I also just bought persona 5. lol, so much for cutting through my pile of shame. The saga is complete? Lol no. If you’re going to play Phantom Pain for the first time, you’re in for a surprise. “Complete” is the last thing I would say about that game. Ok, my bad; I didn’t pay attention to the last line of your comment. You’re replaying the game. Still, I think my point stands. Awesome selection and I can’t wait to play Metal Gear! I’m also wondering when The Binding of Isaac: Afterbirth+ is going to be put online? I see it’s been released on disc. Now that I asked, I see you added it today. Thanks!! Great month even if I already own Metal Gear. MORE THAN A RUN S**T, Really?!? Another shoot ’em up and another old sports game? You know there are players who care about more than just the headlining PS4 games, right? You had 4 plus years of those kind of games. Sit down, clown. I’m talking Sky Force and Hustle Kings. The thing is they only care about the headliner PS4 games because you Sony stooges can point to them every month and say that it’s not bad. More garbage. I am waiting for some good games for Vita. How about the Danganronpa games? I am sick of lame 3rd party indie games. Since years ago, PS3 users have gotten almost every single big title there is to get except for Last of Us and maybe a couple third party titles. There isn’t much left to give. Hue is great. And you need to face reality. You’re not getting anything you think is good for Vita. I’m surprised no one has said it, but it’s clear Sony has moved to only supporting the Vita in name for Plus. Almost every month one the titles are cross-buy, meaning the Vita gets something, yes, but it’s really three or more games for the PlayStation 4 with one or more that just so happens to be on the Vita. Sony has to go out and negotiate deals to get these games. There’s 60 million plus PS4 users, there’s 80 million plus PS3 users, there’s up to maybe 15 million PS Vitas. PS Vita is 10% of Sony’s consumer base at most, with a shrinking majority, they might not be 10% of PS Plus subscribers, no hard numbers on that, we know that the PS4 dramatically outpaces PS3 PS Plus subscriptions since PS3 isn’t gated behind it, so the people who are MOST likely to have a PS Vita and a PS Plus subscription are the PS4, PS Vita users, who are probably somewhere of like 3% of all Plus subscribers. They’ve given us pretty much every major game I can think of other than Unit 13 and that one didn’t review that well to begin with. From what I understand just to voice chat you have to pay Nintendo’s monthly fee, you’ll get a SNES game a month, and then at the end of the month they’ll take away your access to it. Even if they gave it to you for free, the voice chat feature isn’t even native to the device you have to use a tablet… $5, PS Plus, and Cross-buy has been way more value to me than I see the Switch getting. The Rest of the Plus freebies such as Hue were given out already in the past for plus. Hue was said to be last month, but they pushed it back. We have never gotten Hue, at least in the USA. This is a first. Maybe you bought them as part of a sale but none of these games have been part of the free PS+ games in the US before. I’ve had PS+ since 2013 and none of these games are in my digital library and aren’t on the list of free games that came before I joined. This is a great month. I’ve been a PS+ member since Day 1 and I can assure you that there hasn’t NEVER been a game given out as a monthly free game more than once. @jrodfantastic — Incorrect, EU had Retro/Grade twice. Wow I’m so glad I waited to buy MGSV! “An epic game for PS Plus members to replay again” (wait then what’s the point of getting through PS+ then??? By which I mean it sounds like your saying hey guys you already beat the game once why not do it again with this digital copy even though you likely already own a physical copy or something). Anyway, there is nothing really that impressive from this months games, I guess that there is Metal Gear but I already own that for PC and j I think replaying it on “lower settings” is going to make me happy. I only got PS+ for Yazuka 0 which I am now regretting since GameStop has the game new for $40 so in short PS+ not worth the $10 that I payed. You left out “…or to check out for the very first time.” I haven’t ever played it and have been meaning to pick it up when it was part of a flash sale or something. I like that the blog didn’t pretend like a lot of us haven’t already played TPP. I really like PS+ for the free games because I don’t normally play online and I don’t normally buy games close to launch. Maybe it’s not a service for you but a lot of us think it’s a great deal. Uh guys, he doesn’t even have a Plus next to his avatar. You probably won’t have time for the games that PS+ offers. Can’t help but notice the lack of a plus sign next to your screenname. That means you are lying. Nice try at trolling. Probably an Xbot upset that you guys are stuck with Gone Home this month. Kishnabe, when you use a word like Weaboo which has no context other than bullying, you are doing more damage to yourself than you do to the “weaboo” in question. So please be more constructive and less of a bully with your comments. UnshavenBox94, yeah Ps Plus probably wasn’t worth the $10 for a $250 console you bought just to play 1 Yakuza game. The PS4 probably wasn’t even worth it. You are probably just better off selling the PS4 to someone who would get use out of it, and waiting for those games to hit PS Now streaming, and enjoy them there. PS plus comes with online backup of saves, that you have no use for, cheap renting of a select movie, that you probably pirate or wait for it to show up on Netflix, online multiplayer which you don’t get much out of from Yakuza games, bonus discounts which you don’t care for because Humble Bundle, piracy, and steam/gog sales. Exclusive betas you could hardly care less for, and full game trials which lets you play for an hour which technically every Steam game has as long as you don’t go over the time limit before you return the game you otherwise paid money for. So yeah… Even getting it on sale for $40, dividied by 12 $3.34 a month, is probably not a value add. As someone who hand built his own gaming computer, it’s people like you that make me happy to be a console “peasant” I guess. It took a long time but finally PSplus is including AAAs like back in the PS3 days. Its very welcome after all the bs we had to put up with and the price increase. Just to be clear to all… These are NOT free games, its a PAID subscription, and if you stop paying, the games are gone. I agree with the 5 out of 10. 1. being Sony should kill themselves not a single good game, no one cares, people are selling of their PS4 in shame. 2. along the lines of 1 good game, in a sea of trash. 6 is all games are good except 1. 7 All games are good. 10 being Sony developed one of the best games ever made and it’s only available to plus subscribers. 11 is a secret setting no one knows about, which is all the PS Plus benefits stay, the fee goes away, and Sony CEO uses his new found popularity to run for POTUS. I’ve never played a MGS game, so this is cool. I guess I should play Ground Zeroes first since i have that from Plus too a while back. I’m looking forward to Hue as well. Pretty good month, though I do enjoy when they give us good day 1 Indie games and I hope they come back to that at some point, because I’m not a dumbass. Just mix it up. Awesome month for plus! 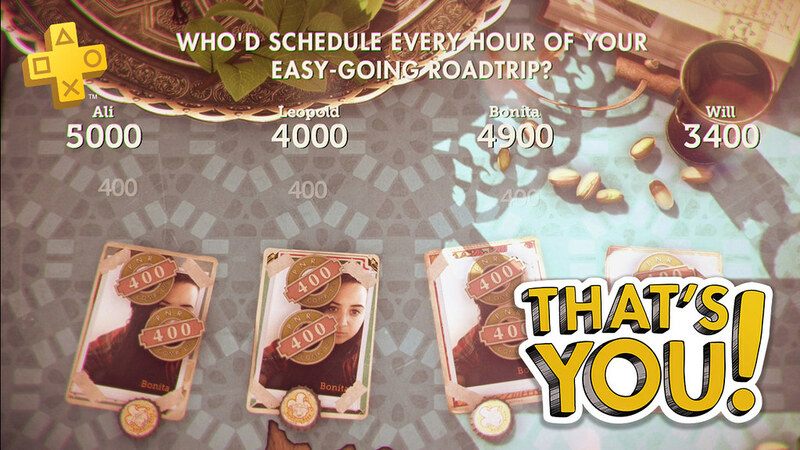 Thanks you very much! Well hopefully now people will shut up about not getting triple a titles. Not that this one is particularly good, but still. Well they really can’t say that anyway. In the past 10 months we’ve had like 10 AAAish games. I mean I guess if you don’t count Telltale games as AAA, then it’s 8ish… but AAA is such a generic classification. What they really mean is disc based ish titles that they really wanted but didn’t want to spend any money on at all. People were saying we got no AAA games when we got that one game Tropico 5 and like NBA 2k17 and people were acting like they got no AAA games. On the month of my birthday!? THANK YOU SONY! Not really a fan of these kind of games. Good, I´ll finally be able to play Amnesia, and MGSV is awesome! Not the best Metal Gear out there, but really fun nonetheless! Havent played a MGS game in years. Looking forward to October! Was waiting for Phatom Pain ever since Ground Zeroes was PS+. I hopefully get around to it in a few years after playing each one in order. Have MGS Legacy Edition PS3 and PSV HD Collection down in my bunker backlog. Amnesia Collection, have not played any of the earlier versions so. Great time to try it out…hopefully fun. Monster Jam Battlegrounds is an easy plat. Sky Force, might try on the Vita. The only game I am not interested in is Hustle Kings. Credit where it’s due, this has to be the greatest month for ps4 ever since ps plus started, thank you! Open your controller and fix it. I have to admit, I was disappointed in PS Plus for a while there. But this month’s offering was really good. I already own MGSV, but the other titles for next month look good too. Wow, I own MGS V, but what a turn of tides. That’s excellent offerings, very unexpected. I am down for amnesia. Been through outlast, can go through amnesia too. What an awesome month. Already have amnesia but glad millions get to try the best horror game of all time, a dark decent. Whoever said ps4 had awful titles? Not a big fan of the new MGS game, but free is better than paying for it, which I didn’t want to. Ever. So at least I’ll get to see for myself how it turned out. But good to see the trend continues with the older retail games for the PS4! More hyped for Amnesia Collection and Sky Force Anniversary myself. I’ve been looking to buy that game but I keep “forgetting” about it. Well it only took 5 years, but we fiiinally got a non-indie game on PS4. which makes the PS4 a little under 4 years old, not 5. But yeah, ignoring all of those games, and the release date…First non-Indie! Armadillo_Jones Yo, you got a comeback, bro? What’s you’re response? Nice selection of games. Too bad I already own MSGV. What’s cool is that you get the games that are free on your Vita for your PS4 for free as well. So it’s like getting 4 games for free on your PS4. Happy gaming! What is going on with these titles lately? Are you guys never going to let me finish a game before I have to start new ones? In the past, I’d have a good couple months before something new caught my eye. I’m still playing a ton on Dead By Daylight that I was seduced to buy after the free teaser. I’m like a fat guy trapped in a donut shop. Stupid lack of being able to delete/edit posts….Commented incorrectly cause reasons. The PS3/PSV titles are the same games that were pulled from September’s PS Plus launch lineup. If you check out last month’s, you’ll see those 4 games are crossed out. Nothing special there, but the PS4 titles are killer. Would have been nicer if it was the MGSV: Definitive Edition, but it’s a still a nice step. That’s 6 months in a row of at least 1 solid AAA PS4 title. Despite complaints and disagreements, they’ve been much better about improving the selection of titles (at least on the PS4 side). Playstation, your killin’ it. Great free games!